Like every time before when we had to cross a body of water (except for that time when we crossed the Magellan Strait in Chile), crossing the Oiapoque was not without hassle: the prices (for a 15 minute trip by canoe or ferry) varied from 20EUR to 200EUR but you never know who can be trusted and who can’t. Even the ferry had no schedule at all! After two days of bargaining we managed to find some guys willing to take us across for 30EUR. In the end we paid 35EUR because they claimed the bike was heavier. For us, it felt so strange: we were in South America but also in European Union at the same time. 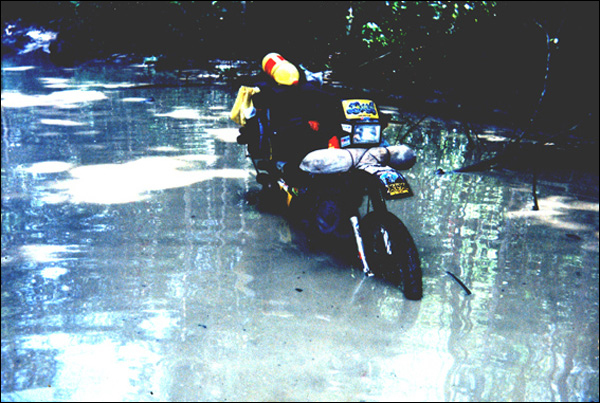 After completing the 1000km of jungle South of Amazon we said to ourselves “How easy. That was it?”. 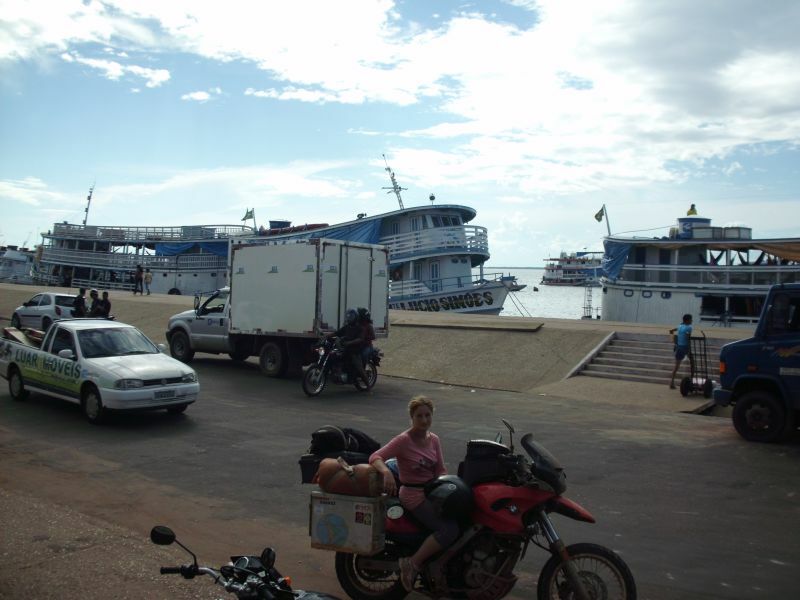 But here, in Brazilian State of Amapa, we found the real problems: from Macapa there are ~500km until the border with France, out of which only 300 are paved. 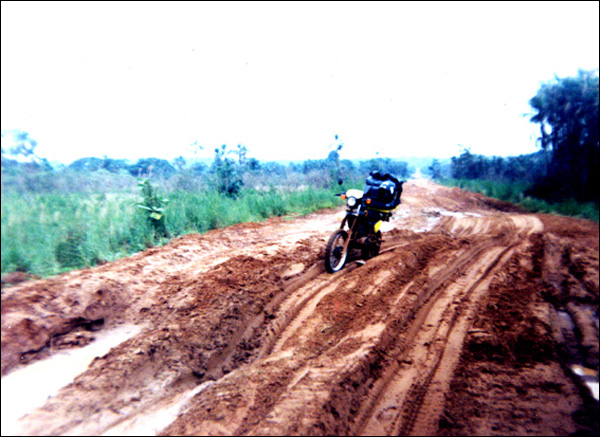 Immediately after entering the unpaved road, a rain began that made riding even more difficult. At some point the road was blocked because two trucks were caught in mud and other trucks were trying to help. After one hour of efforts some drivers gave up and began cooking the lunch (where we were invited to join). After another hour one truck was back on road but two more vehicles were in trouble: a car and a bus. The fun may have continued for many hours, but we left the scene and we arrived at the Oiapoque river after two days. For reference, I have included two pictures from 20 years ago (the last ones) made by our friend Eladio. As you can see, not much has changed since then!